Sheet Metal Worker: Required Class 8th pass the duration is Two Sem. Basic Cosmetology: Required Class 10th pass or its equivalent the duration is Two Sem. Welder: Required Class 8th pass the duration is Two Sem. Wireman: Required Class 8th pass the duration is Four Sem. Desk Top Publishing Operator: Required Class 10th pass or its equivalent the duration is Two Sem. Commercial Art: Required Class 10th pass or its equivalent the duration is Two Sem. Computer Operator and Programming Assistant: Required Class 10th pass or its equivalent the duration is Two Sem. Dress Making: Required Class 10th pass or its equivalent the duration is Two Sem. Digital Photographer: Required Class 10th pass or its equivalent the duration is Two Sem. Fashion Design & Technology: Required Class 10th pass or its equivalent the duration is Two Sem. Draughtsman (Civil: Required Class 10th pass or its equivalent the duration is Four Sem. Electronic Mechanic: Required Class 10th pass or its equivalent the duration is Four Sem. Food Production (General): Required Class 10th pass or its equivalent the duration is Two Sem. Food & Beverages Service Assistant: Required Class 10th pass or its equivalent the duration is Two Sem. Plumber: Required Class 10th pass or its equivalent the duration is Two Sem. Health Sanitary Inspector: Required Class 10th pass or its equivalent the duration is Two Sem. Mechanic Consumer Electronic Appliances: Required Class 10th pass or its equivalent the duration is Four Sem. Refrigeration and Air-Conditioning: Required Class 10th pass or its equivalent the duration is Four Sem. Steel Fabricator: Required Class 10th pass or its equivalent the duration is Two Sem. Sewing Technology: Required Class 10th pass or its equivalent the duration is Two Sem. Stenographer & Secretarial Assistant (Hindi): Required Class 10th pass or its equivalent the duration is Two Sem. Stenographer & Secretarial Assistant (English): Required Class 10th pass or its equivalent the duration is Two Sem. Surface Ornamentation Techniques (Embroidery): Required Class 10th pass or its equivalent the duration is Two Sem. Surveyor: Required Class 10th pass or its equivalent the duration is Two Sem. Technician Power Electronic Systems: Required Class 10th pass or its equivalent the duration is Four Sem. Computer Hardware & Network Maintenance: Required Class 10th pass under 10+ 2 educational system with Math and Science or its equivalent the duration is Two Sem. Textile Designing: Required Class 10th pass or its equivalent the duration is Two Sem. Electrician: Required Class 10th pass under 10+ 2 educational system with Math and Science or its equivalent the duration is Four Sem. Draughtsman (Mechanical): Required Class 10th pass under 10+ 2 educational system with Math and Science or its equivalent the duration is Four Sem. 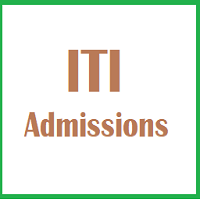 Information Technology: Required Class 10th pass under 10+ 2 educational system with Math and Science or its equivalent the duration is Four Sem. Fitter: Required Class 10th pass under 10+ 2 educational system with Math and Science or its equivalent the duration is Four Sem. Information & Communication Technology System Maintenance: Required Class 10th pass under 10+ 2 educational system with Math and Science or its equivalent the duration is Four Sem. Machinist (Grinder): Required Class 10th pass under 10+ 2 educational system with Math and Science or its equivalent the duration is Four Sem. Instrument Mechanic: Required Class 10th pass under 10+ 2 educational system with Math and Science or its equivalent the duration is Four Sem. Machinist: Required Class 10th pass under 10+ 2 educational system with Math and Science or its equivalent the duration is Four Sem. Mechanic Auto Body Repair: Required Class 10th pass under 10+ 2 educational system with Math and Science or its equivalent the duration is Two Sem. Mechanic Auto Body Painting: Required Class 10th pass under 10+ 2 educational system with Math and Science or its equivalent the duration is Two Sem. Mechanic Diesel: Required Class 10th pass under 10+ 2 educational system with Math and Science or its equivalent the duration is Two Sem. Mechanic Auto Electrical &Electronics: Required Class 10th pass under 10+ 2 educational system with Math and Science or its equivalent the duration is Two Sem. Mechanic Motor Vehicle: Required Class 10th pass under 10+ 2 educational system with Math and Science or its equivalent the duration is Four Sem. Mechanic Motor Cycle: Required Class 10th pass under 10+ 2 educational system with Math and Science or its equivalent the duration is Two Sem. Tool & Die Maker (Press Tools, Jigs & Fixtures): Required Class 10th pass under 10+ 2 educational system with Math and Science or its equivalent the duration is Four Sem. Tool & Die Maker (Dies & Moulds): Required Class 10th pass under 10+ 2 educational system with Math and Science or its equivalent the duration is Four Sem. Interior Design & Decoration: Required Class 10th pass under 10+ 2 educational system with 40% marks individually in Math and Science or its equivalent the duration is Two Sem. Turner: Required Class 10th pass under 10+ 2 educational system with Math and Science or its equivalent the duration is Four Sem. Architectural Assistant: Required Class 10th pass under 10+ 2 educational system with 40% marks individually in Math and Science or its equivalent the duration is Two Sem. Mechanic Medical Electronics: Required Class 10th pass under 10+ 2 educational system with Math and Science or its equivalent the duration is Four Sem. 12th Science with Vocational / Technical subjects or 10th + (2-year ITI) with appropriate specialization. Candidates passing 12th Science or 12th Science with Vocational or 12th Science with Technical or 10th + (2-year ITI) with appropriate specialization. 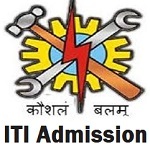 ITI passed out are also eligible for direct admission in Bachelor of Vocation (B.Voc) in their relevant discipline course conducted by Guru Govind Singh Indraprastha University (IPU). For equivalent status/eligibility candidates may refer to IPU website.